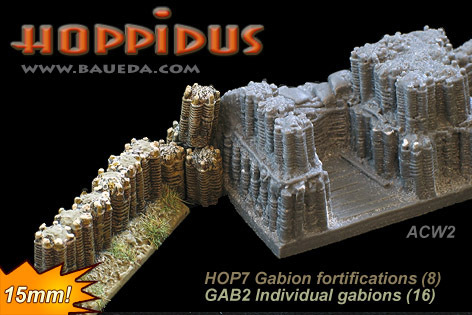 15mm Renaissance fortifications AVAILABLE NOW! 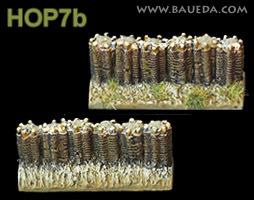 This set include eight modules of 40mm wide wickerwork gabions field fortifications designed to be used with all those rules that are based on individual sections of fortifications such as Field of Glory Renaissance or DBR. 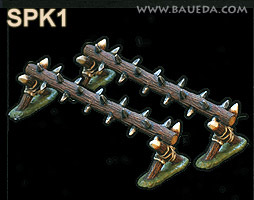 These models are very detailed and accurate reproductions based on period drawings, however the same methods of constructions and materials were used for centuries from the 16th Century well into the 20th, so you can use them for any conflict from the early Renaissance to the English Civil War, from the Thirty Year War to the Napoleonic wars and up until the First World War! This range will soon be completed by additional fortification modules, camp tents and accessories. Like all our models this is a historically accurate and scaled reproduction with plenty of beautifully sculpted deep surface detail to help you in painting and are made of tough POLYURETHANE. 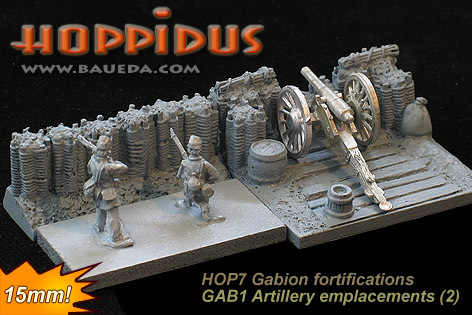 All these fortifications elements are supplied unpainted and don't require assembly. For your convenience on ths page we offer also some expansion pack specifically selected to expand and customize this basic set. You can also use more modules from our own renaissance fortifications or ACW entrenchments lines, just remember you can pick and choose any combination of modules you like, at any time, just e-mail us your requirements! 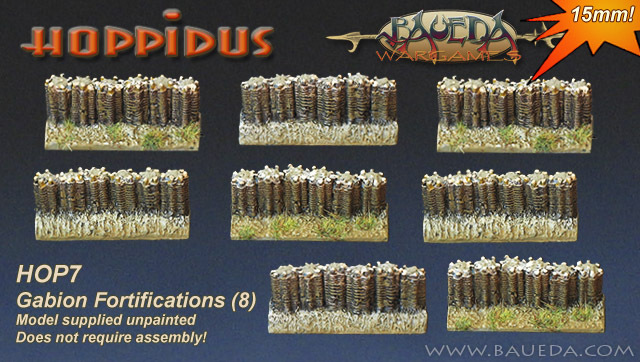 This is a booster pack to increase the size of your fortified line by two X 40mm wide elements!